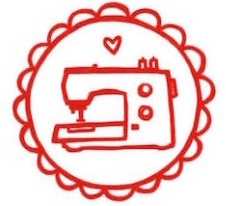 Let’s talk about sewing websites. I’ve been a member of Ravelry since Beta. I think we can all agree, they do an outstanding job of facilitating a knitting (and crochet community). Kudos Ravelry. Sewers are frustrated that the same service doesn’t exist for us. The most obvious contender is Pattern Review. It’s been around longer than Ravelry and has a huge data base. It’s the first place I turn when I hope to find some information about a pattern I might sew. However, I’m sure I’m not the first to say, it isn’t very attractive and I find it difficult to navigate. The While She Naps podcast did an interesting interview of Deepika Prakash, the founder. She began the site long ago, in some ancient coding language. She had the foresight to build a social sewing site before Ravelry, or even Facebook. That is probably part of the problem. I know that updating an old website with a lot of data is an overwhelming task. Apparently it has had a facelift in the last year, but I didn’t notice. She considered doing a total site revamp but said that when she tested it with users, they didn’t like it. I think that was a mistake. Change can be difficult but I think it is much needed. 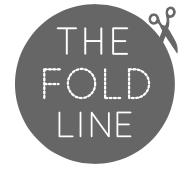 There are two new contenders, that I am aware of, Textillia and the The Fold Line. I find both those names a little tricky to remember. Launched in the autumn and is UK based. It has an attractive interface. There was an initial flurry of activity, as UK sewers hoped this would be our Ravelry. However, that seems to have died down, as it hasn’t been that easy to find or make reviews or socialise with other sewers. At least, that is my experience. They are obviously working very hard to get it established, but somehow it hasn’t been a great way to connect with people. One thing I feel very frustrated about, is that the founders are not crowd sourcing the uploads of patterns. You can only review patterns that they have uploaded. Their choices are not mine, and so most of my sewing has been from patterns that I can’t find or make reviews of. The only pattern I was able to review, was the Washi Dress. Their interests seem skewed to the young sewer. That will probably change in time. I wonder if they may have launched it a little prematurely. If you are on The Fold Line, I am Juju, become my friend. Maybe we can help them to grow. Textillia is based in Canada and just celebrated it’s 6 month anniversary. It has a very attractive interface. I see a lot of it’s founder, Ariane, on social media; she seems to be working really hard. I have only recently joined Textillia, but I’m loving it! Textillia is croud sourcing the uploading of fabrics and patterns to the site. I uploaded the Pilvi coat to see how it worked. It was very comprehensive. Unfortunately, as my images were scanned from the book, they had to delete them, for copyright reasons. But Ariane let me know this, which was nice. It was a little difficult to select the picture I wanted to use for the main image, it would be nice if this were drag and drop, but overall it was very easy. I also added my first review to Textillia, of the Pilvi coat I had just uploaded. The review looks really good. Better, even than on Ravelry, dare I say. I’m spending more time on this site, commenting on other peoples makes and I will be loading more of my own over time. I don’t think I will load my fabric to it. I use Evernote for that. But maybe I’ll switch over. I am also Juju on Textillia (the advantage of getting in early, is you get to use your own name). Please befriend me if you’re on the site. It would be nice to see it grow. You can also see I added a badge to my sidebar. They didn’t have any on the site so I requested one and they made it for me by the next day. I find, Ariane, the founder, very approachable. Can only one site survive? I don’t know. Are there any other sites that you use to connect with sewers? I guess I haven’t included Instagram, Flickr or blogs. Do people still use Flickr or is Instagram coming to replace it? I haven’t been on in it in some time. Please let me know what social media you are using to connect with other sewers and any other thoughts on the subject. Great post Juju! I have joined both of the new sites. Not sure how to befriend you? If you follow the icon in my sidebar, does it lead you to a button that offers to make you my friend? No sidebar I’m afraid. Using an IPad.is that the problem? My sidebar will probably appear at the bottom of my webpage on an iPad. Scroll down. What is your username on Textillia, I can find you. Thanks for your take on the Canadian site Textillia. I think I will give it a try! I love pattern review for its diversity. I just signed up for Textillia (seekingfireflies) – thanks for the info. Now, I just wish there was a Ravelry like site for embroidery/cross stitch, etc. I’m not sure, but I think Textillia wants all kinds of fibre related interaction, including embroidery and cross stitch. I found you on Textillia and added you as a friend. Yeah I have found some great info on Artisan’s Square, but found is the operative word. I don’t know how to find much of anything there, or work the forums. Love hearing your feedback and that you’re enjoying the site so far! We are so appreciative of everyone joining and using the site so early, and giving us a chance (and so much patience) as we work away at building more and improving what’s there. We know that we have lots more to do, and plan to continue to improve the interface/design especially after we get some more of the big chunks of functionality we have planned in place (before we officially get out of beta). If you come across other things you’d like or find annoying – even if they’re more long term things for us to work on, don’t hesitate to post in the ideas section of the forum so that they’re documented there. We might not get to everything as quickly as the badges (that had been nagging at me for ages, so it was a good excuse to get it done!) but it’s important to us that we hear where the improvements are needed so we can keep prioritizing what will serve our community best. I will do my best to spread the word and help out where I can. Thanks for introducing me to Textillia. (I’m frivolousatlast.) I already like that I can browse thumbnails of lots and lots of patterns in one place. Hopefully this might be the one to evolve into the sewing version of Ravelry. I have been frustrated that there is no where to keep a ‘queue’ of what I’d like to sew so I can have a quick glance through it for inspiration. Instead, I find myself pawing through boxes of patterns, and (even less convenient), flipping through old Burda magazines, or getting sucked down a rabbit hole of aimless website browsing. I’ll be test driving Textillia some more over the next little while. See you there! I haven’t used Textillia as a queue yet, but I need that too. Yes, I had similar Ravelry type hopes for The Foldline – but I guess it is still early days. I posted a couple of things, but when it started they didn’t have the Merchant and Mills patterns, although they have now. Have just signed up for Textillia too. Re previous post – yes I’m up for meeting, either Westfield, or even better Islington-ish – more trains from Hertford North than Hertford East! Email me at vintagerockchick(at)hotmail(dot) com and maybe we can sort something. Islington is grand. I’m in Hackney and work in Islington. I’ll contact you. Have hopped onto textilia for a look around. 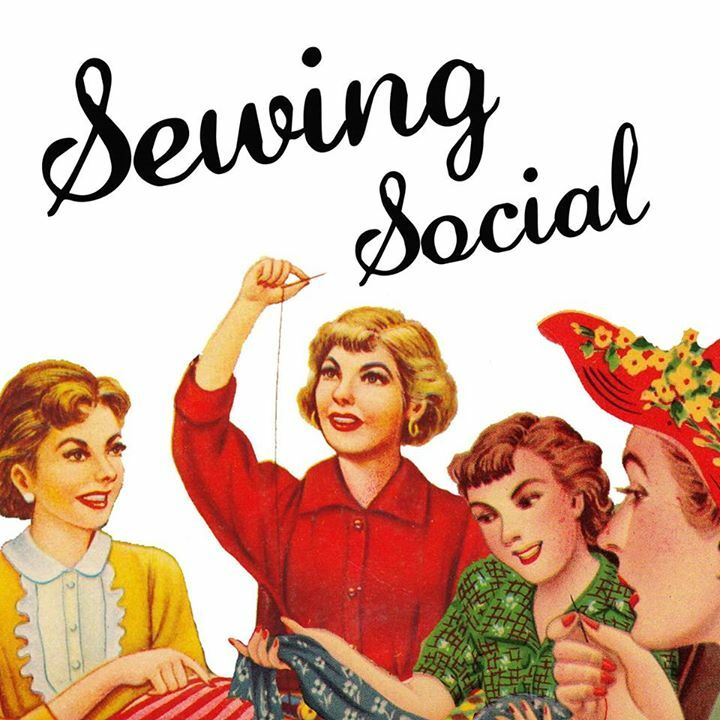 I’ve joined a few sewing social sites over the years – I recall one called ‘the sewing circle’ or something like that, the fold line, Pattern Review & Kollabora – always with the best of intentions but somehow I never stick with it. I don’t know why! I’m hopeless at uploading all the useful details that make a meaningful interaction possible at Ravelry as well, so perhaps I’m just lazy. I really do love seeing things on other people though and getting tips on fit etc from Pattern Review when I’m looking at a new project I’m unsuse of, so I’ll try harder and see how it goes. It would be great to have a meaningful and helpful community I wanted to check in with that didn’t feel like a big comittment. ooh – I just joined textillia after reading this. Didn’t know it existed, so thank you for sharing with us. It’s testing my IT skills already but that’s no bad thing really. Dragging myself screaming into the 21st century. But hoping it’ll be well worth it if Textillia turns out to be even half as useful as Ravelry. Hi Jane, Who are you on Textillia? I’d like to friend you. Hi Juju – I’m LadyJaneK on textillia. Still figuring out how it all works….. ! I’ll find and friend you jane. I found you. Love your tablecloth dress! Hi Sarah, I’ve friended you on Textillia too. I’ve signed up to both Textilia and The Fold Line, and also Sewist and Sewologie, but haven’t really used those (I really like the look of the style boards on Sewologie but you can’t make those on a phone, so sticking with Pinterest for now). I’m Chloebee on all of them. Most active on Fold Line but I love that Textilia lets you order a project queue. It gets a bit repetitive adding patterns to a stash over and over on different website though! Hi Chloe, I hadn’t heard about Sexist or Sewologie. I’ll have to look at them. I agree that it is a bother adding all the info to more than one site but I want to support both Textile and The Fold Line so I’m going to do both for now.